So what goes into a successful bootcamp? Blood, sweat, tears, and skydiving, if you ask our Dota 2 manager Mohamed Morad. TI8 is on the horizon and strong preparation could mean the difference between defending our throne and going home without the aegis. Learn how we're utilizing our partnership with SAP to power up our training habits. Entering the Dota Pro Circuit, some expected ‘The Curse’ to affect us as it had previous winners. They expected Team Liquid to be shackled by their success but the naysayers were quickly proven wrong. Doubt of our performance was stricken from the minds of our fans and foes alike as we conquered tournaments and seamlessly transitioned into the new season. We had our moments of weakness too, but they only served to make us stronger. In the end our hunger for victory could never be satiated and the skill of our players proved it. There was only one title which evaded us: we had not claimed a Major. This too was rectified as we won the biggest Major of the year, the Supermajor. With Dota 2’s history we’ve started to see some truly impressive numbers and during the DPC our players were no strangers to incredible and unique stats. Beyond an individual level, the team as a whole put up one of the best year-long performances Dota has ever seen. "During bootcamps, we have break days where we try to organize some team activities," said Morad. "We can go bowling. We do escape rooms." Okay, this sounds like some wholesome team-building excursions, I thought. We are actually planning on doing skydiving this time. Wait... Skydiving? Like, jumping from a plane? "I thought it might be a good idea to have everyone face this fear," explained Morad. "I think it might be a good confidence boost, which is needed just before the biggest event of the year. I think it's a good idea to do it." That big event is the International 2018 on August 15, the concluding tourney of the Dota Pro Circuit. This year, it will be held at the Rogers Arena in Vancouver, Canada. A first. For a major tournament like the International, managers start planning a bootcamp two months in advance. And while most esports fans know what goes on at the bootcamp, not many people know what goes into putting together a bootcamp. 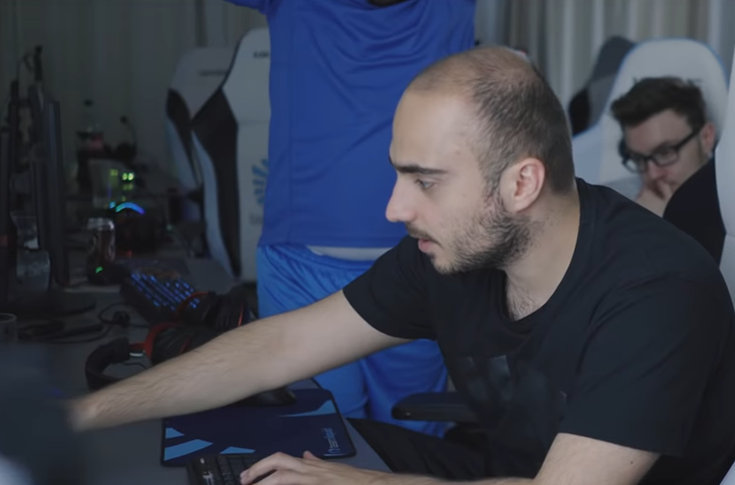 And not many people know what goes into this as well as Morad, since this is a major part of his job as a Dota 2 manager. So, I asked him what it takes to plan and run a successful bootcamp. 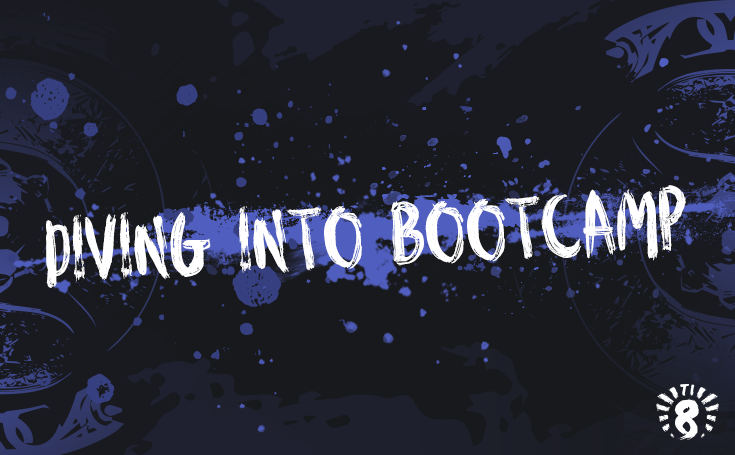 "Bootcamping is something you do to get better as a team," Morad explained. "If you don't have the results you're looking for, feel you're lacking something, or there's not a lot of time to improve. It's better to have someone in front of you to talk to. It's more efficient to see each other and talk to each other. To really feel what everyone has to say." While teams practice together constantly, some team members can go without seeing their teammates in person for up to a month. To get everyone together face-to-face, the first step is to get everyone to the bootcamp. Morad noted that he prefers to get all of the players there at the same time, but sometimes it's not always that simple. You mean the players don’t just spontaneously appear at the front door after someone flashes the bootcamp signal? No. This is a bootcamp. It's not allowed to be that easy. So, because this a bootcamp and it's not allowed to be that easy, Morad has to account for players that may still need visas for specific events or countries. And those players might end up a bit delayed. But when the players are all finally reunited – thanks to Morad's seven-person team finding the right flights, along with subsequent transportation from the airport to the training facility - it can be quite the grand time. The team spends time hanging out together, getting adjusted, talking and seeing what everyone's been up to. "It's always good to see the guys after a while," said Morad. "There's a lot to talk about." 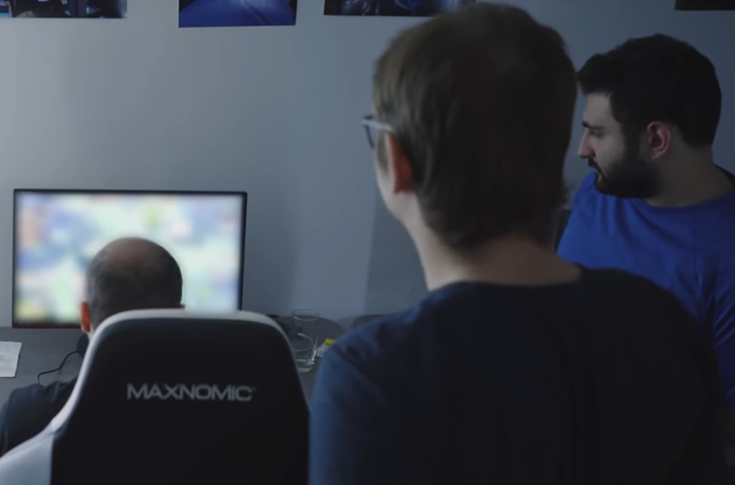 Before you start picturing the Dota 2 boys chillin' at the Team Liquid practice facility in the Netherlands, just know that you have been bamboozled. Because organizing the players' flights was not the first step to planning a bootcamp. One of the most difficult tasks when it comes to setting up a bootcamp, Morad stated, is coming up with the right dates to host it. That's because the teams aren't only practicing with each other, but with different teams. So months before the bootcamp begins, Morad starts communicating with other teams that will be playing in the upcoming tournament, finding out where they will be, and when they will be there. This is especially a huge undertaking for The International because the Dota 2 team will be practicing at two bootcamps for this: One in the Netherlands and one in Vancouver. Once Morad has determined what dates will allow the team to practice with the right rivals at the right times, it's time to make sure the bootcamp is set up and running smoothly for the teams arrival. Luckily, the practice facility in the Netherlands already has an infrastructure and computers in place, as well as organized living quarters. That shaves off the planning that would be needed to secure the right furniture (including tables that are the right height for playing) and finding a room for each player. Senior Team Manager Brittany, TechWizard Rich, and other EU staff like Erik and Alex are also on-hand to help out. The focus instead shifts to cleaning and food. Morad doesn't only find a person to routinely clean the living quarters of the training facility, but organizes a cleaning schedule that won't disturb the players while they are practicing. He also finds out where the dudes can do their laundry. I have to ask, does it get really messy? "It never gets out of hand," Morad was quick to respond. "Because in the end, they are professional gamers: They stay in one place for a pretty long time. If they are not at the computer, they are in their rooms. There's not a lot of mess. The guys know how to take care of themselves." Note: Get a roommate who plays a lot of video games to avoid a messy apartment. I can confirm this to be true. But things get a lot messier when it comes to food. Sustenance. Fuel. That thing we all need. But some of us want it a certain way. Like some Dota 2 guys want Monster. Some want want water, or maybe even tea. That's important. You can't just expect a guy to drink Camomile when he is accustomed to Kombucha. And you can't expect him to focus on practicing if he's being forced to sip some English Breakfast. Like, do you even want your team to win? Jesus. 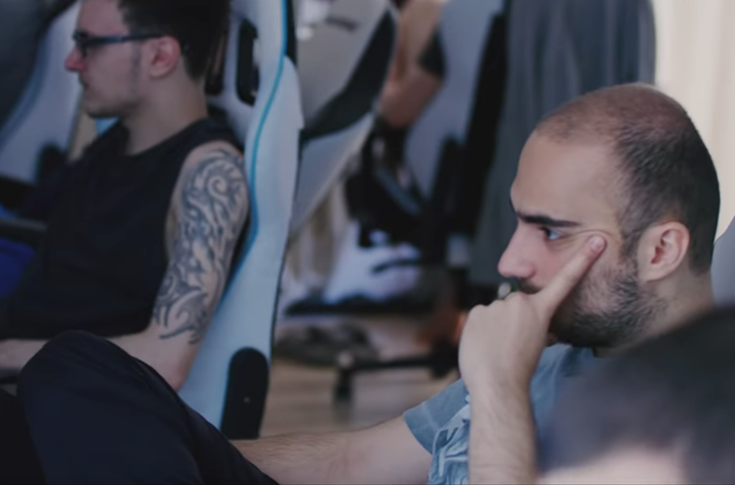 According to Morad, Team Liquid bootcamps usually have catering twice a day or a hired cook to prepare meals for the guys. "One guy doesn't eat fish at all," noted Morad. "One guy doesn't eat spicy food at all. There are people on the team who don't eat pork." But to Morad, this isn't really a big deal. Because he's a manager who organizes bootcamps for a living. And this is just one other thing to keep track of. According to Morad, if you know what people eat and don't eat, it's really not that hard to deal with. Just make sure the chef knows. You're probably thinking, "Tea, laundry, non-spicy food... That's pretty cool and all. But what about, like, computers?" Well, of course there are computers. And of course Morad organizes the computer set-up. But this is a bootcamp, and it's not that simple. He had to make sure other things were set up and ready first before he started to tackle the computers. Setting up the computers and chairs in the Netherlands practice facility, and making sure the Internet is working properly, takes about two days. While tech support is barely needed, said Morad, there are a lot of IT guys at the tech support office at the Liquid headquarters if needed. Morad is also working with a company who has helped manage the infrastructure for other pro esports teams, making sure there's enough man power in case anything needs to be done. Arranging a bootcamp in other countries is even more complicated. 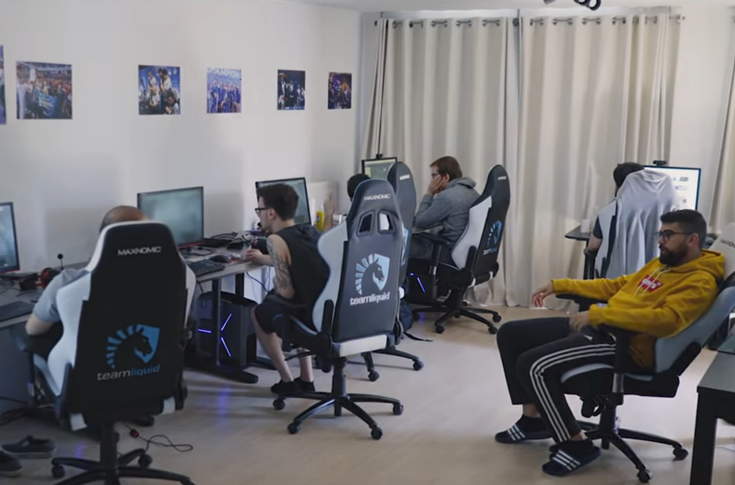 Team Liquid and Mohamed have to find a suitable location, hire a company that can provide the necessary equipment and infrastructure, and basically build a ramshackle temporary practice center from scratch. When it comes to the daily schedule of the bootcamp, Morad is, of course, in charge of that. And it's always pretty much the same set schedule, noted Morad, since they usually come to a bootcamp with a specific goal. "The manager is the one who wakes up first and goes to bed last," he said. Before the players wake up, Morad has already checked to see if the cleaner was there and the fridge was stocked properly. If not, he will drive to the grocery store and buy some things. Do the guys ever get sick of each other? That's a lot of together-ness. Of course each team has its highs and lows. Ups and downs. Sometimes you have arguments with teammates, if the training is not going as well as expected,” Morad admitted. “The coach, captain and I always try to step in and find out what happened. Why they are sad. Why they are behaving this way. The relationship between the five players, the coach... It's like we are all married to each other. We like each other. But sometimes we want things our way. But it doesn't work out like that every time. We all have to compromise. This is a bootcamp and it's not that simple, so Morad doesn't take a break once the team starts practicing. Along with the coach, Morad will observe six games each day, and provide support when the team and coach discuss strategy and areas of concern after each game. Throughout each practice, Morad will also talk to the individual players and find out what they need to work on or what they feel their problems are. Morad, the ever-dutiful manager, must also make sure they take time out of their busy eating and practicing schedule to meet with sponsors. To do whatever it is that they must do with said sponsors, like interviews and shooting videos. Then it's back to practicing. Most of the practices are also against other teams that will also be in the International. While Morad said he was not able to share with me how he decides which teams to play against and how often, the purpose of practicing against other teams is clear: To discover and perfect the best strategies against them. While the bootcamp is obviously a team's time to practice together, it's just as important to bond together. To trust each other. And work well together. To help each other become more confident. Hence, the skydiving. Nothing says "I can't wait to play in The International with you" quite like jumping out of a plane together and hurtling towards earth at 120 miles per hour. As Morad stated bluntly: "There's nothing ordinary about us." The Dota 2 team is basically like a family, Morad explained. Some of the guys have been on the team since the start of Team Liquid. And some have even been together before that. "We have been there from the beginning," he said, "working together, playing together." From organizing the bootcamp dates and flights, to preparing the right meals, to scheduling the proper practice schedule, planning and managing a bootcamp is not simple. But it's made a little bit easier, Morad pointed out, because they all like each other. "This is what makes me happy," said Morad, "seeing the team doing well. Getting along. I see all the work we put in when we come together. I see us improving as a team. And when I see all the work we've put in coming together at the tournament... This is pretty much why we do it. For this moment."